Do you have GCSEs coming up, and want to ace them? Whether it’s exams or coursework, GCSEs require preparation in order to succeed, and even more in order to entirely conquer them. 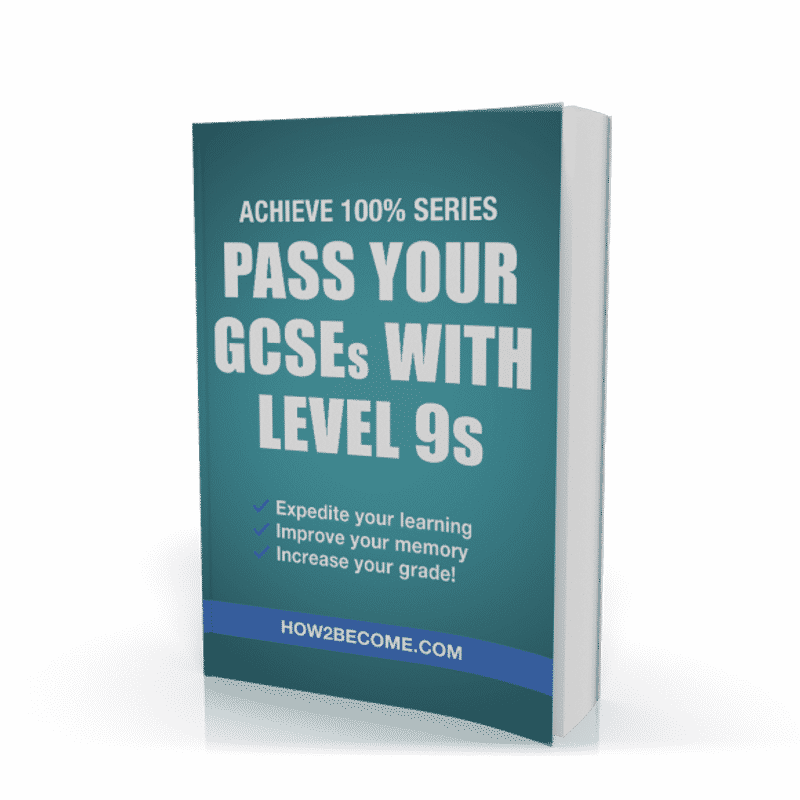 This book will give you the essential tips which will allow you to unlock your full potential at GCSE level and secure the top grades. 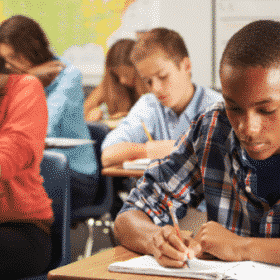 General Certificates of Secondary Education (GCSEs) are qualifications awarded to students so long as they achieve a pass grade in a series of exams and coursework. They are internationally recognised, and cover a wide range of subjects: from Maths to Media Studies, and from English to Religious Studies. GCSEs are taken by students in England and Wales, and their material is more advanced than the Key Stage 3 (KS3) curriculum. Many students find the gap in challenge between KS3 and GCSE to be a significant one, so it pays to come prepared in any way that you can. Generally speaking, students study for their GCSEs over two years, although some schools may wish to start earlier. Students tend to start their GCSE studies in the Autumn term of year 10, and finish them in the summer of year 11. In addition, most students will sit all of their GCSE exams at the end of year 11, meaning that a lot rests on a few weeks’ worth of tests. In 2017, GCSEs consist mostly of exams, but some subjects include coursework as well. Students finishing their exams in 2018 onwards will be taking GCSEs almost entirely consisting of exams, with only a couple of subjects using coursework as a means of assessment. In some ways, GCSEs are the most important qualifications you’ll ever receive. This is because they set the stage for the next part of your academic life or career. Strong GCSE grades will allow you to get onto an A-Level course more easily, attend college, or pursue other routes of training such as apprenticeships. With all students remaining in some form of education until the age of 18, GCSEs are more relevant than ever, since you want to be able to go into the training you enjoy, not the only one that you can get onto. As time goes on, your GCSEs will become less relevant when it comes to applying for jobs. Your experience in the workplace, as well as any other qualifications you may have acquired, will eventually overtake GCSEs are the driving factor in whether you secure a job or not. However, GCSEs are so vital because they allow you to get into this position in the first place! Outside of pure qualifications, GCSEs are important because they allow students to learn about the way that they absorb information. In addition, they’re a great environment to iron out any bad habits when it comes to revision and studying, setting students up for further academic success. This book takes you step-by-step through the GCSE preparation process. Starting with deciding on revision tactics and making a revision timetable, to dealing with coursework, all the way up to subject-specific revision advice and exam tips. When preparing to sit GCSEs, there are two separate areas to consider. 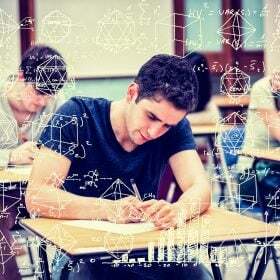 Obviously, there’s the material that you need to know in order to pass – the maths formulae, the key dates and events for a history exam, and all of the notes from the poems you’ve read for English. This information can be found on the internet, in textbooks, and in lessons. This book supplies you with the tools you need in order to make sure that this information sinks in. The second chapter extensively covers revision tactics for all kinds of learners. For example, a visual learner might benefit from watching videos, writing pages of notes and mind maps, whilst a kinaesthetic learner may find flashcards and learning games to be useful. This guide lays out all of the revision methods that may be helpful you. In order to know which revision methods work best for you, it’s important to find out what kind of learner you are. Thankfully, this book contains a quiz which will give you an idea about how you learn – whether it’s visually, aurally, or kinaesthetically. Once you’ve found out how to revise, you can construct a revision timetable and get to work. If you’re a parent or guardian reading this on your child’s behalf, you can make use of the plentiful advice sections which will help you understand what your child is going through, and how you can assist them in their studies. Combined, you’ll be able to take your child to success. This sample is just one of many sections containing subject-specific information for passing your GCSEs. These sections include revision tips as well as advice to help you unlock your full potential during your exams. Some Old Hag Cracked All Her Teeth On Apples. 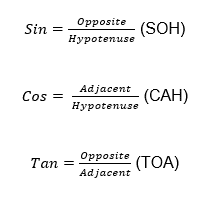 You can find a lot of acronyms and mnemonics online, or you can come up with your own. Practice with each until you can remember them easily. Practise the techniques. Once you can recall all of the techniques easily, it’s time to put them to the test. 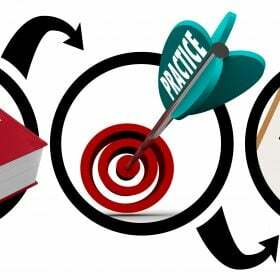 Find some practice papers and get to work. Earlier in this book, we discussed how to get hold of practice questions. Start with any textbooks you’ve been supplied with by your teacher. 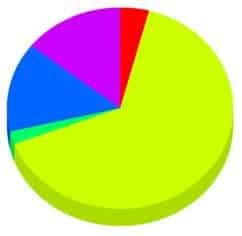 Generally, those will contain sample questions for each major technique or operation that you’ll have to make use of in your exams. Once you’ve used those, you’ll want to move on to other workbooks and online resources. Remember to make use of mark schemes to make sure you’re getting the answers right. If you get the answer wrong, try it again. If you’re still struggling to answer the question after a few attempts, refer to any textbooks to see if your methodology is incorrect. Try and go through the question with your textbook or notes to help you. Visual learning is exactly as it sounds – you learn by visually representing information, or by having information visually represented for you. This can involve pages of notes, mind maps, tables, animations, slideshows and more. All of these can be used to make information easy to digest visually. 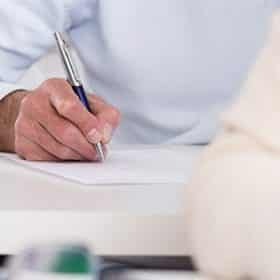 While modern computers are adept at note-taking and mind-map making, you might find it more helpful to ditch the laptop for a while and use a pen and paper. 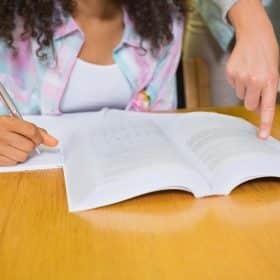 This way, you can improve your handwriting skills, make notes which are available at any time, as well as avoid distractions which come too easily whilst on a computer connected to the internet! Visual learning is excellent for any subject that has a lot of written text to digest. This applies to everything from English to the sciences, where a passage of information needs to be dissected to find the most important parts. Note-taking can condense a whole chapter of dates, facts and figures into a page or two. Mind maps are a great way of connecting loads of key facts to a single core concept, such as an event or an important person. Additionally, videos and slideshows are excellent for representing data in a clear manner. Visual learners tend to be good at remembering images and charts. They’ll likely find it easier to remember details of pictures and photographs, and might perform well in memory games where they have to spot which object has been removed from a collection. For this reason, visual learners are suited to organising their revision materials into diagrams, which they will likely find easy to remember. Led resistance against Romans in Britain. Led an army of approx. 100,000. This method allows you to organise information succinctly, so when you return to read it later, you can absorb the vital facts and leave everything else out. By limiting yourself to these facts, you can focus on the details which are necessary. This is useful because you don’t want to overload your brain with long, clunky sentences; when all you need is the important stuff. What’s important is that you transfer the notes into an easily digestible format. Here, the content of both texts remains largely the same. However, by writing the work in your own words, you are demonstrating to yourself that you have identified the key parts of the text and understood them. Writing information in your own words is a great way to test your comprehension of the text; if you’re able to sum up the message of the paragraph in your own words, then you probably understand its content quite well. Step-by-step walkthrough of GCSEs – Starting with revision timetable planning and revision style quizzes, and ending with subject-specific exam advice, this book takes you through each step on the path to success in your GCSEs. Exam and coursework advice – This guide contains expert tips on how to perform well both during coursework and your exams. Guide to stress – This book includes an explanation of what exam stress is, as well as the best ways for you to combat it to make sure you are on top form for your GCSEs. Advice for parents – This guide comes with plenty of tips geared especially towards parents and guardians, so that they know how to support their child on the road to acing their GCSEs. Sample timetable – The sample timetable included in this book will put you on the right track to planning your revision. Bonus - for parents/guardians: advice and guidance to help you maximise your child's potential.